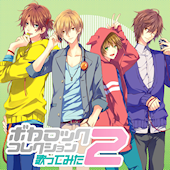 New release in the Vocarock series, featuring utaite singing popular Vocaloid songs. Participating utaite include Nodoame, clear, Kogeinu, and maro. (who replaces the previously announced kradness). More info and samples at the official website.